I guess summer must end eventually, and for me, it’s ending today. I may have gone a teeny bit overboard on Luau treats… but you’ll be set with ideas for next summer! 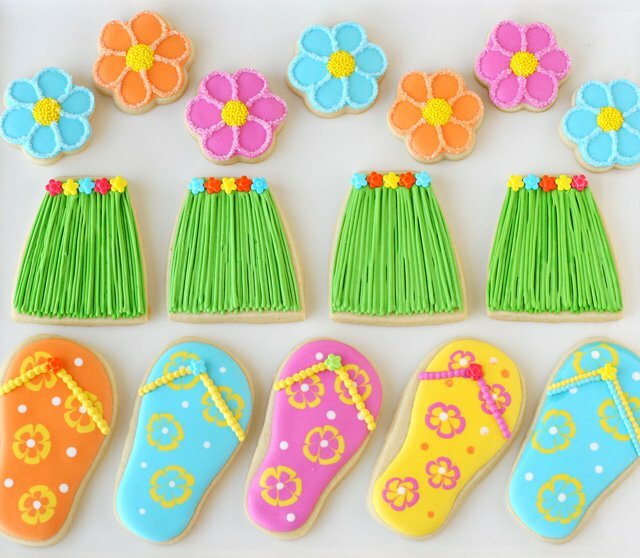 Today I’m concluding my Luau treats parade with two simple, yet cute designs… grass skirt cookies and flip flop cookies. I’ve made flip flops lots of times before, (they’re just so perfect for summer), but the grass skirts were a new one I was really looking forward to. As I was making the skirts I was almost giddy with joy! 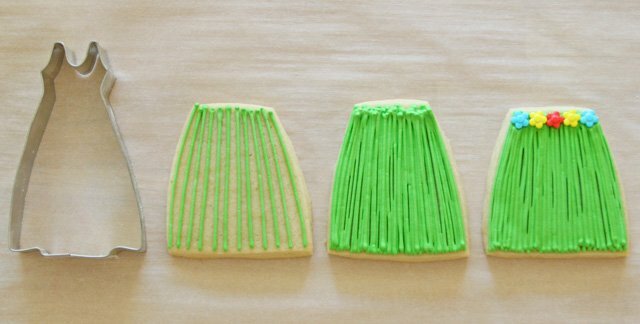 When anyone in my family walked by (while I was decorating) I would say… “aren’t these skirts cute?” Maybe I’m crazy… (my husband has suggested that a few times) but I just think they are so cute! For the grass skirts, I also used some flower sprinkles (from Wilton– purchased at my local craft store). 1. To start, you can see the cutter I used to make the skirt design. You could use most any dress cutter and trim as necessary, or create a template, and hand cut the shape. 2. Using thick/outline consistency green icing, simply make lines from the bottom to the top (or vise versa, but I found that I preferred bottom to top, so the little tip left at the end would be covered). I used a #2 tip. 3. Continue adding lines, lots and lots of lines… until you are satisfied with the coverage. It is important that your icing is thick enough that the lines do not simply melt or merge into one another. 4. When you have added all the “grass” you want, add flower sprinkles (or small fondant flowers) along the top. Another option would be to wait until the grass dries and use royal icing to create a flower border. Allow to dry fully (4-8 hours) before packaging. 1. Fill/flood a cookie in the color of your choice. 2. 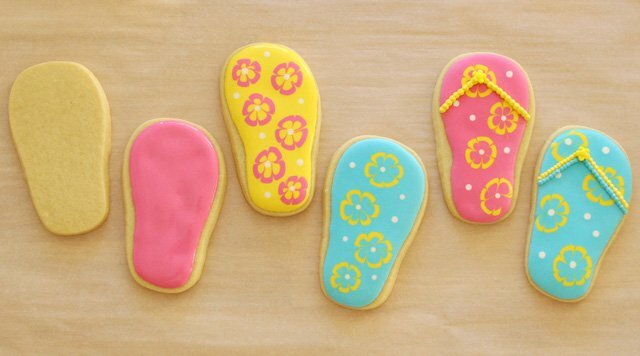 While the base icing is still wet, add polka-dots or designs of your choice. For the flowers shown I simply piped a circle shape, then used a toothpick to drag from the outside edge of the circle, toward the inside, creating a flower. I’ve shown this technique in detail in this post. 4. When the icing has set, use a thick/outline consistency icing to create the strap. I did a row (or two) of dots, using a #2 or #3 tip. Add a flower sprinkle, if desired, as an accent. 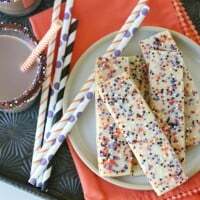 Hawaiian Shirt Cookies (this takes you to the awesome tutorial by Sweet Sugar Belle). I am absolutely in love with your grass skirt cookies, Glory!!! so many cookies! must have taken you FOREVER! bravo! These are the ones you showed me! I actually thought that you put a single layer of green, waited until it dried, and then put the “grass”. What do I know?! Ha! These are great! Love you! Those skirts are so clever! Seriously love those grass skirts! I am giddy over the skirts as well! They are CUTE!! ¡Preciosas las galletitas, y tan alegres! 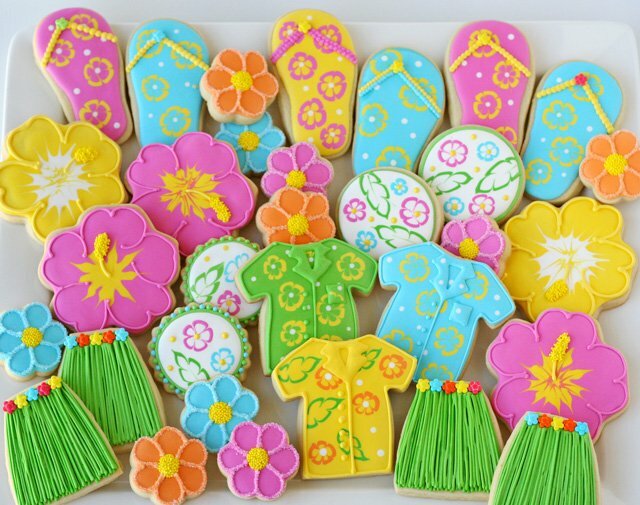 Thanks for sharing all of these luau cookies! They’re all so fun! What a way to end the summer! You can never go overboard with any of your cookies. The grass skirts are keeping me smiling! Oh Glory these are soooo adorable! I absolutely love all of them. This tutorial went into my SAVED file! I love these! Thanks for sharing! your talent (NOT you’re talent) – I was going to write you’re amazing – hence the use of the apostrophe – I do have grammar knowledge!!! Either way,both statements are correct!!! 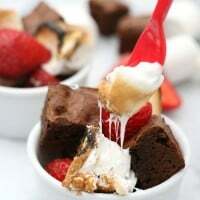 Cute food has no calories, yes?! I want the whole darn plate. Fantastic collection of beautiful cookies. Very colorful and appealing. `Love all the colors. The details on these cookies are amazing. They look so professional and perfect! Love all the cookies….and everything I’ve seen o your site. Amazingly creative! But where do you get your cookie cutters??? I’ve been on several site….and none compare to the ones you use. Exquisitely magical! Pink is the way to go, red and green also look so fun and festive! I love them! You’re so creative!!!! 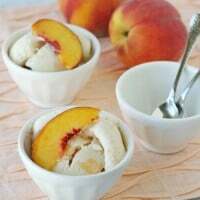 I had featured u in the post of Top 7 Creative Cookie Recipes For Your Kids on AllFreshRecipes, Looking forward to ur renewly post! These cookies are too gorgeous to eat!